Chris Andrews was born in Newcastle (Australia) in 1962. He grew up in Melbourne. After completing a Ph.D at the University of Melbourne, he taught there, in the French department, from 1995 to 2008. 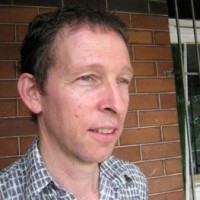 In 2009 he took up a position at the University of Western Sydney, where he is a member of the Writing and Society Research Centre. 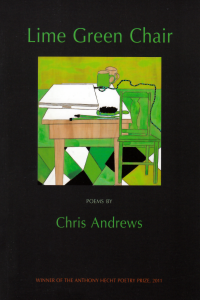 His first book of poems was Cut Lunch (Indigo, 2002). He has translated books of fiction by Latin American authors, including Roberto Bolaño’s By Night in Chile (Harvill / New Directions, 2003) and César Aira’s Varamo (New Directions, 2012), and was a recipient of the Vallé-Inclan Prize for Literary Translation from Spanish (British Society of Authors) (2005).